C.H. 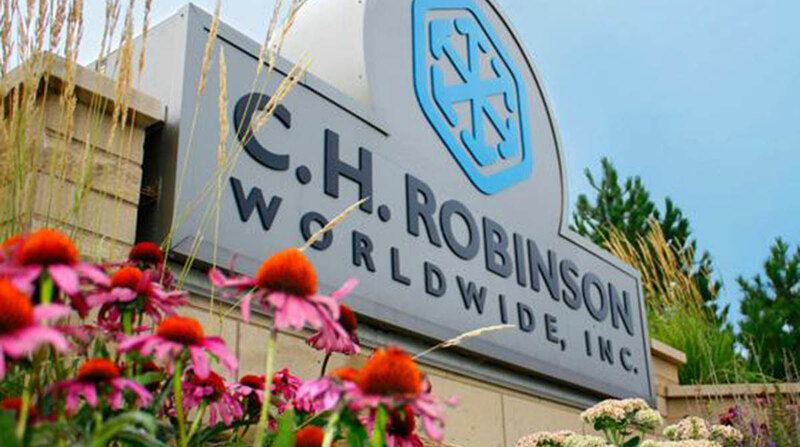 Robinson Worldwide reported strong revenue growth and higher profits in the first quarter of 2018 and said it expects strong demand and tight capacity conditions to continue through the rest of the year. The Minneapolis-based firm posted net income of $142.3 million, or $1.10 a share, on gross revenue of $3.9 billion in the three months ended March 31. That compares to net income of $122.1 million, or 86 cents, on gross revenue of $3.4 billion in the same period a year ago. Net revenue, which is gross revenue minus the cost of purchased transportation, increased 10.1% to $625.9 million in the most recent quarter from $568.6 million in 2017. CEO John Wiehoff said the company was able to generate double-digit net revenue growth, expand digital capabilities and make significant investments in its global forwarding business while boosting operating cash flow and returning nearly $135 million to shareholders in the first quarter. In the North American Surface Transportation segment, C.H. Robinson said gross revenue jumped 17.9% to $2.66 billion, net revenue surged 11.4% to $414.8 million and operating income increased 11.7% to $174.1 million. Global forwarding generated gross revenue of $553.8 million, a gain of 18.1%, net revenue increased 15.5% to $123 million but operating income fell to $8.2 million from $16.2 million a year ago. The acquisition of Milgram & Co., a Montreal-based freight brokerage and forwarding firm, in August 2017 bolstered net revenue in the first quarter, but earnings were negatively impacted by increased investment in personnel and technology across all service lines, company officials explained. Robinson Fresh, a produce distribution business, reported revenue of $550.5 million in the first quarter, essentially unchanged from a year ago. Net revenue dropped 5.2% to $53.9 million and income from operations fell 36.5% to $9.3 million. Contributing to the decline in net revenue for the produce sourcing business was a decision by an unidentified strategic customer to exit the fresh produce business.